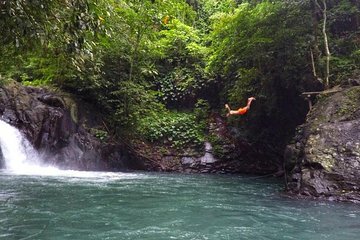 Get off the beaten path and out into nature with a private day tour to the Aling-Aling Waterfall in north Bali. Frolic below the twin stream that tumbles from the 115-foot (35-meter) cliff, or slide, play, and even free jump from the smaller waterfalls that surround it. Your tour includes lunch and door-to-door round-trip transfers.